How did the once modest medical specialty of child psychiatry become the aggressive "pediatric psychopharmacology" that it is today? Thanks to Pharma-driven disease mongering, kids who were once considered normal now suffer from ADHD, conduct disorders, depression, bipolar disorder, oppositional defiant disorder, obsessive-compulsive disorders, mixed manias, pervasive development disorders, personality disorders and even schizophrenia? Everyone wins at the pediatric psychopharmacology game--Pharma, Wall Street, doctors, researchers, medical centers, clinical research organizations, medical journals, Pharma's PR and ghostwriting firms, pharmacy benefits managers and the FDA itself which judges itself on how many drugs it approves. The only losers are kids given a probable life sentence of expensive and dangerous drugs, their families and the taxpayers and privately insured whose taxes and premiums pay for the drugs. How bad is the pathologizing of children? Psychiatrist Phillip Sinaikin, in his book Psychiatryland, recounts reading a scientific article in which it was debated whether a three-year-old girl who ran out in traffic had oppositional-defiant disorder or bipolar disorder. She might have the latter because it is marked by "grandiose delusions" and she might have thought she was special and cars could not harm her. The father of "pediatric psychopharmacology" is considered Harvard child psychiatrist Joseph "Risperdal" Biederman c redited with ballooning the diagnosis of "bipolar disorder" in children by as much as 40 fold. In 2008, Biederman was investigated by Congress for allegedly accepting Pharma money he didn't disclose and he agreed to suspend his industry-related activities. After a three year investigation, Harvard threw the book at Biederman and two other professors: they were required to "refrain from all paid industry-sponsored outside activities for one year and comply with a two-year monitoring period afterward, during which they must obtain approval from the Medical School and Massachusetts General Hospital before engaging in any paid activities." They also face a "delay of consideration for promotion or advancement." Ouch. When it comes to grandiosity, Biederman seems a lot like the three-year-old who ran out in traffic. He served as the head of the Johnson & Johnson Center for the Study of Pediatric Psychopathology at Massachusetts General Hospital whose stated goal was to "move forward the commercial goals of J. & J." ----and the facility was his idea! Court obtained documents show he approached J&J with the money making scheme. He promised the drug maker that upcoming studies of Risperdal would "support the safety and effectiveness of risperidone [Risperdal] in this age group." Why leave things up to science? The Johnson & Johnson Center for the Study of Pediatric Psychopathology netted a cool $700,000 in one year of operation. Biederman continues a macabre medical tradition of dosing children. As early as 1956, ads for the antipsychotic Thorazine said it "reduces hyperactivity and aggressiveness, decreases anxiety and hostility [and] improves mood, behavior and sleeping patterns...in belligerent, overactive children." It was also advertised for childhood vomiting. 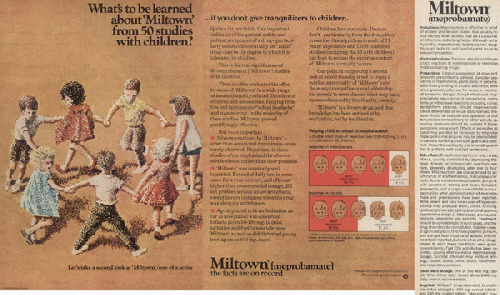 The tranquillizer Miltown was similarly advertised for "a wide range of tension/anxiety-related disorders of children and adolescents, ranging from tics and tantrums to 'school headache' and stammering." Then and now dosing children is lucrative. 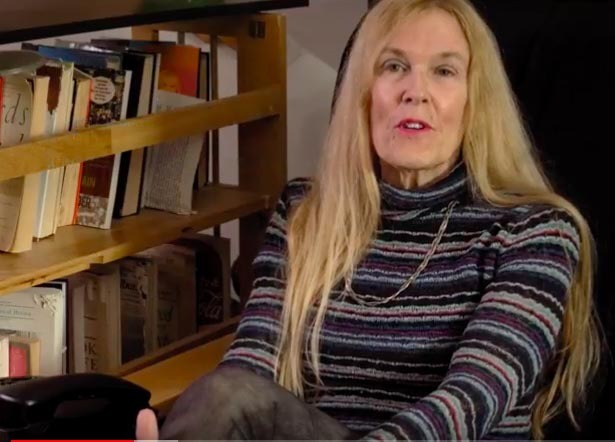 "Children are known to be compliant patients and that makes them a highly desirable market for drugs," says former Pharma rep Gwen Olsen, author of Confessions of an Rx Drug Pusher. "Children are forced by school personnel to take their drugs, they are forced by their parents to take their drugs, and they are forced by their doctors to take their drugs. So, children are the ideal patient-type because they represent refilled prescription compliance and 'longevity.' In other words, they will be lifelong patients and repeat customers for Pharma." View All 7 Articles in "Pharma"